Click Here to Visit H.A.R.T. Hope is recovering well from her burns.Thank You for your prayers and support! We are an organization formed by a small group of people to help save the lives of the stray, abused, and abandoned animals in Florida. We are a 501c3 non-profit rescue center. We offer a low cost spay and neuter program and a Feral cat TNVR (Trap,Neuter,Vaccinate, and Release) program. This we hope will bring down the population of cats roaming the streets or around businesses. We work full time and volunteer our off time to the many animals in our care. We are always in need of volunteers and foster homes to help the animals. We rescue animals from animal control when their time is almost up, and prevent many from ending up at animal control. Many dogs and cats have been re-homed with very happy owners! We are always in need of fosters. If you would like to open your home and hearts to an animal in need please contact us. The blessings you receive in return for helping are endless! 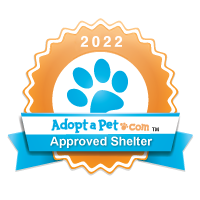 Check out Adopt-a-pet.com,Rescueme and Petfinder for our adoptables. If you would like to volunteer for any of our events or help with the animals feel free to conatact us. We are always in need and welcome anyone for any length of time available. Dogs Varies: Adoption fee incluces:Micro-Chip- DHL-PPV annual shot, Kennel Cough and Rabies vaccinations, Heartworm test and Deworm. ﻿Puppies Varies: Adoption fee includes 3 sets of vaccines, Deworming and Spay and Neuter at appropiate age.Micro-chip Reservations on Puppies require a 50% non-refundable deposit. Cats $50 Adoption fee includes:Micro-chip, FVR-CP, Rabies vaccine, Leukemia/ Fiv/heartworm test and vaccination for Leukemia. Spaying or neutering is included and a requirement for both dogs and cats.There is no such thing as a "FREE" puppy or kitten. animals in our shelter care. There are no paid employees.All donations are tax deductible.Your support is what helps us to care for the animals in need. We at SimplyCatBreeds.org are pleased to present you with a Cat Rescue Award for excellence in helping needy cats who just need a warm home and some love. We take pride in acknowledging the best organizations around the country with our special award emblem, recognizing them for their outstanding work – the Hardee Animal Rescue Team is absolutely an organization we place among those that need recognition.